Today I posted my first ever official Seeking Sara Youtube video! Hooray! Why come out again, you ask? Thank you for asking, kind stranger! Well, back in April, I came out as Autistic to most of my family and friends by sharing my Seeking Sara diagnosis story on Facebook. But I really didn’t feel free to be fully public at that point. That ends today with my first YouTube video! Please check it out, give it a like, and subscribe to my channel. Below the video you can find what I wrote on my personal Facebook about why I feel the need to be out and public about being Autistic! Ok, time to rip the bandaid off and never look back! 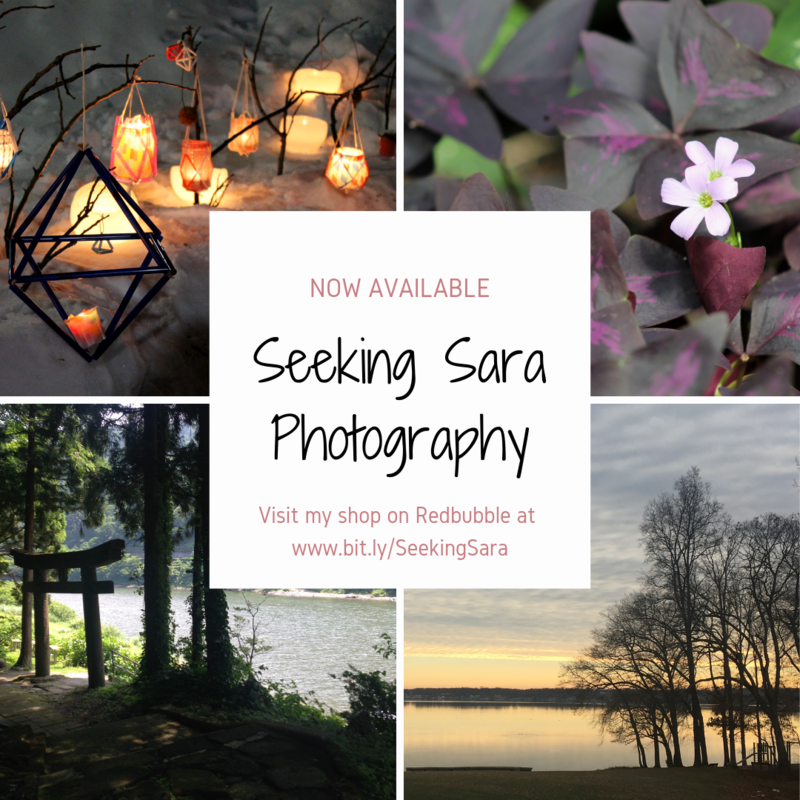 Back in April, I “came out” to a lot of people through my blog, “Seeking Sara: An Autistic’s Journey Toward Self-Discovery”, but I wasn’t quite ready to be completely public about it. That ends today with this YouTube video 😎: https://www.youtube.com/watch?v=gA1gGR4Y_QQ&t=12s. Today feels like taking off chains and shaking out my limbs for the first time in ages. I am Autistic, but even I didn’t know for the longest time. For as long as I can remember, I’ve had intense sensory issues, meltdowns and shutdowns, bouts of selective mutism, anxiety, social phobia and processing difficulties… but I had no idea WHY. In late 2017 I was finally diagnosed and suddenly everything made so much sense. Since diagnosis, I have grown more as a person and learned to love myself more than in the past 5 years combined. I am learning to be authentically, proudly me. I am diagnosed with Autism Spectrum Disorder (not Asperger’s), and I prefer to be referred to be referred to as “Autistic” or an “Autistic person,” NOT “person with autism.” This is just my preference and I hope you will respect that. I get that some people may be skeptical, probably because what we see about Autistic people in the media is oftentimes a bold-faced, stereotypical lie full of myths. Or because I have done a damn good job of (unintentionally) hiding my Autistic self. But you know, my coming out isn’t really for you. This is for me. ⭐ This is so I can begin to breathe again. This is so I don’t have to constantly regulate my behavior in public. So I don’t have to try to ignore overwhelming sensory stimuli and resist the urge to stim (rock, flap my hands, pace, tic, hum, sing, etc. to help with sensory regulation.) Over the next few months I might start seeming “more Autistic.” This isn’t actually a change; this is just me finally growing comfortable enough to stop masking my traits so hard and just allow myself to be naturally me. I’m done hiding. I no longer feel the need to try so hard to shove myself into a little mold I’ve cobbled together from observing neurotypical peers and characters. I am not them. I am ready to be unapologetically me—take me or leave me. I’m ready to be publicly me. I’m done tiptoeing around and hoping not to be seen. 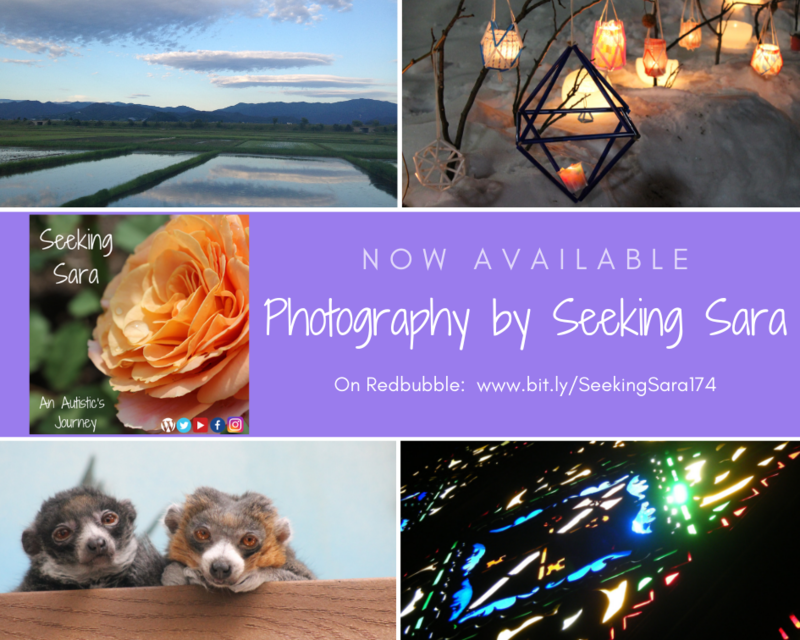 Here’s the link to my blog, Seeking Sara ⭐: https://seekingsara174.wordpress.com/2018/04/12/diagnosis/. Feel free to subscribe to get email updates when I post. There are about 20 posts up right now. The next one will be on Monday. Feel free to Like or Follow or both! If you read to the very end, props to you and thank you. Phew. A huge sigh of relief. This is a huge step for me, perhaps bigger than the first phase of my coming out back in April. I’m ready to burst out through the gate and go be me! Previous Previous post: 20: Empathy (Part 3) The Good!